Caffeine is a chemical primarily found in coffee and tea, but which also appears in various sodas, sports drinks and foods. It is a stimulant, therefore causing changes in metabolism as well as increases in focus and energy. Caffeine is addictive and can cause withdrawal following cessation after frequent use. In addition, caffeine can cause alterations in urine. Caffeine is classified as a diuretic, which means that it increases urine output. 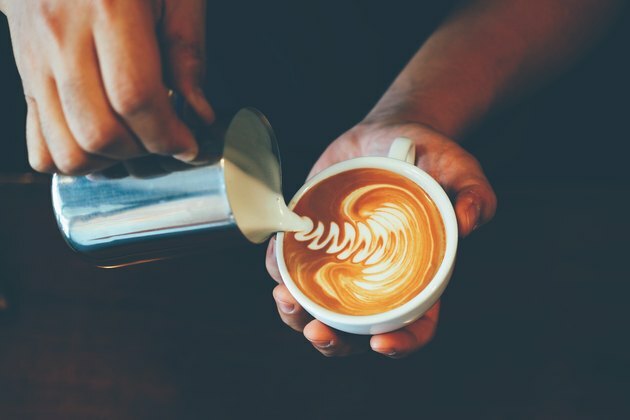 The primary reason why caffeine increases urination is that it increases golmerular blood pressure, or blood pressure within capillaries in kidneys. This, in turn, increases blood filtration, resulting in an increase in urine. Another reason why caffeine is a diuretic is that it prevents sodium ion resorption--or, increase in sodium ion blood serum levels--which increases urination, but decreases water filtration. This is because water filters from the blood through the kidney and into the bladder during sodium ion resorption. Given that caffeine prevents the resorption process, water filtration is likewise inhibited. Because the prevention of sodium ion resorption reduces water filtration from the blood while increasing urination, caffeine indirectly causes urine to become more concentrated with urea, ammonia and other wastes. As a result, caffeine can cause urine to become darker in color and pungent. This is also a classic indication of dehydration, but given that caffeine prevents water filtration from the blood, it is almost impossible to become dehydrated as a result of caffeine consumption.